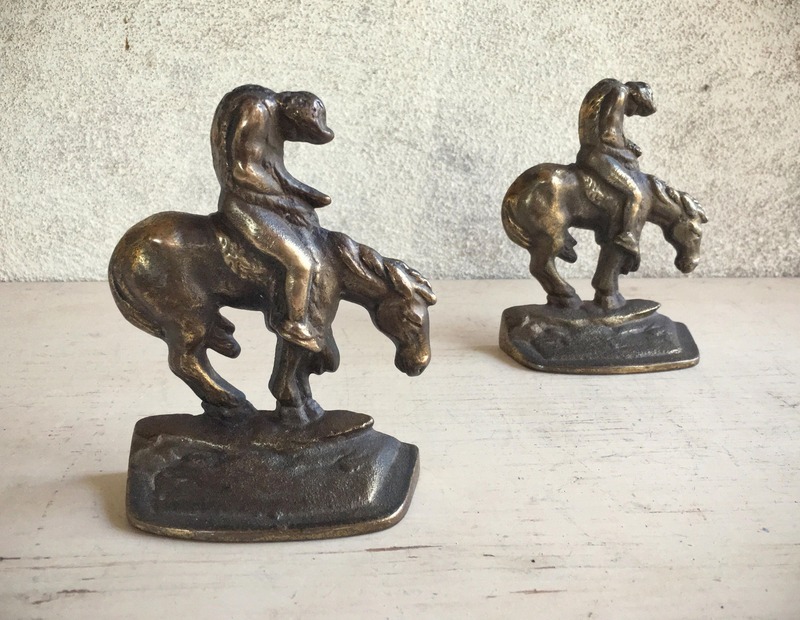 These brass bookends have a bronze finish and are beautiful. 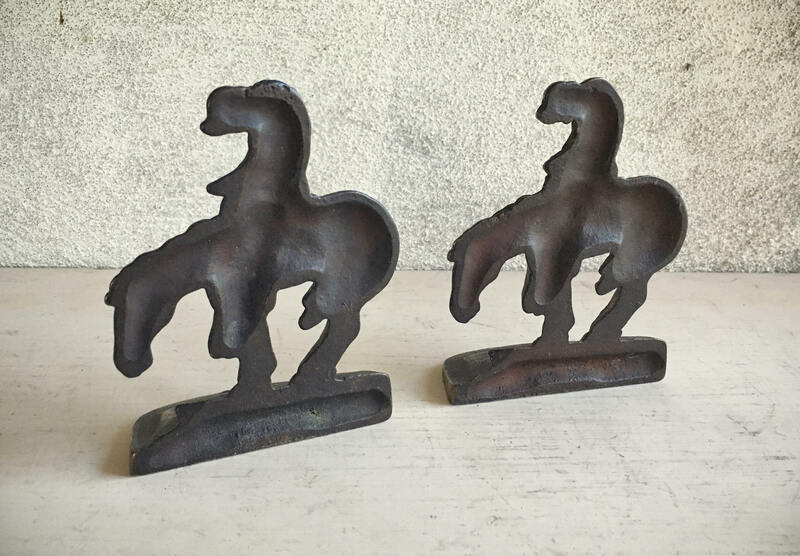 Not large, they are the perfect bookends for a more modest space, not overly large and imposing, yet something still honoring of Western and Southwestern traditions. 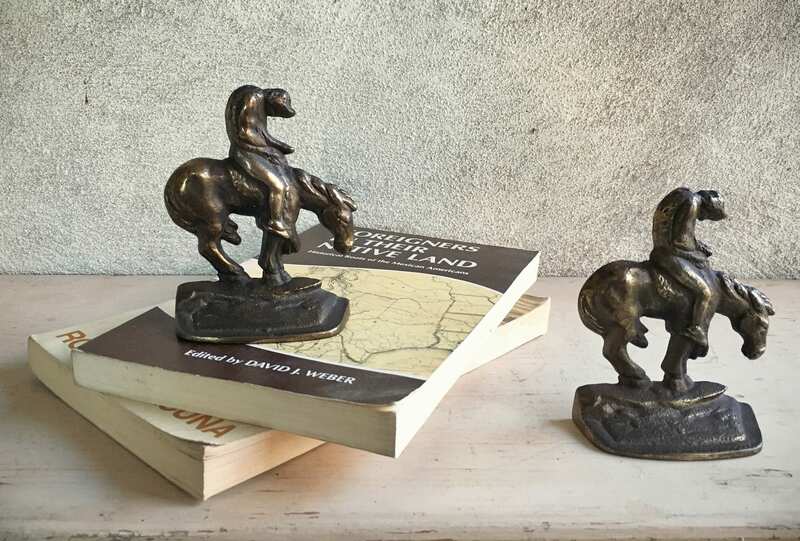 Fashioned after the iconic sculpture by James Earle Fraser, these End of Trail bookends are classic, evoking a nostalgia for almost everyone who has grown up in the US. Each measures4-1/4" across by 3-1/2" tall BY 1-3/8" deep. 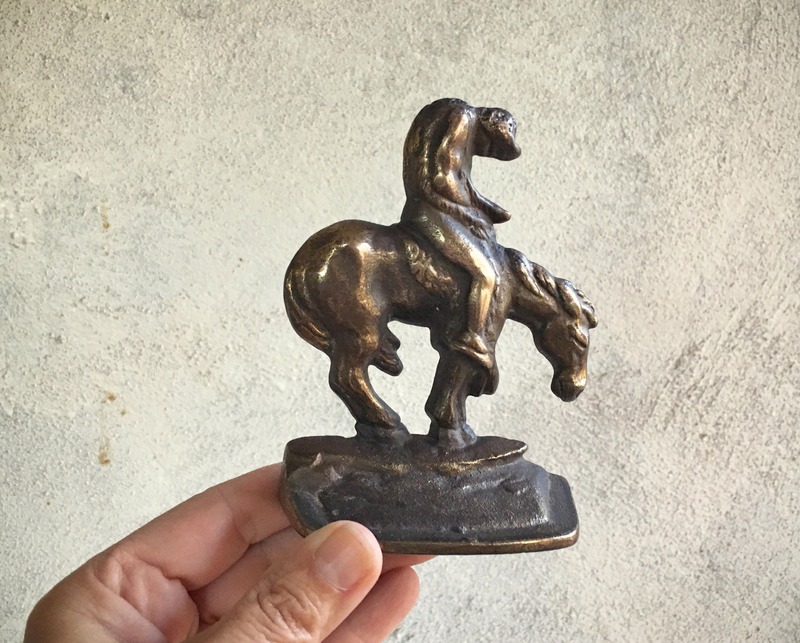 Lovely patina. 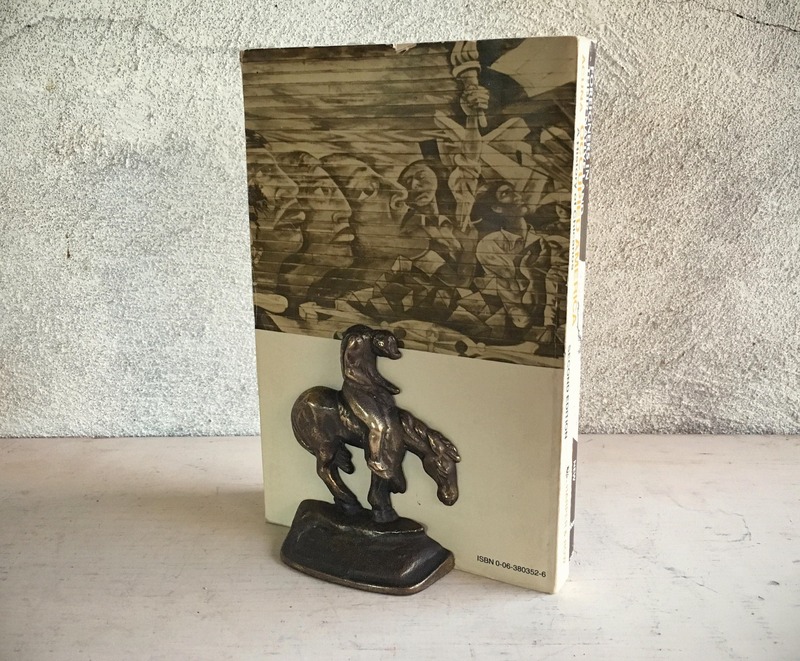 Iconic image for the ranch house, Western themed library, or soulful home.